Just kidding. This post is kind of silly... 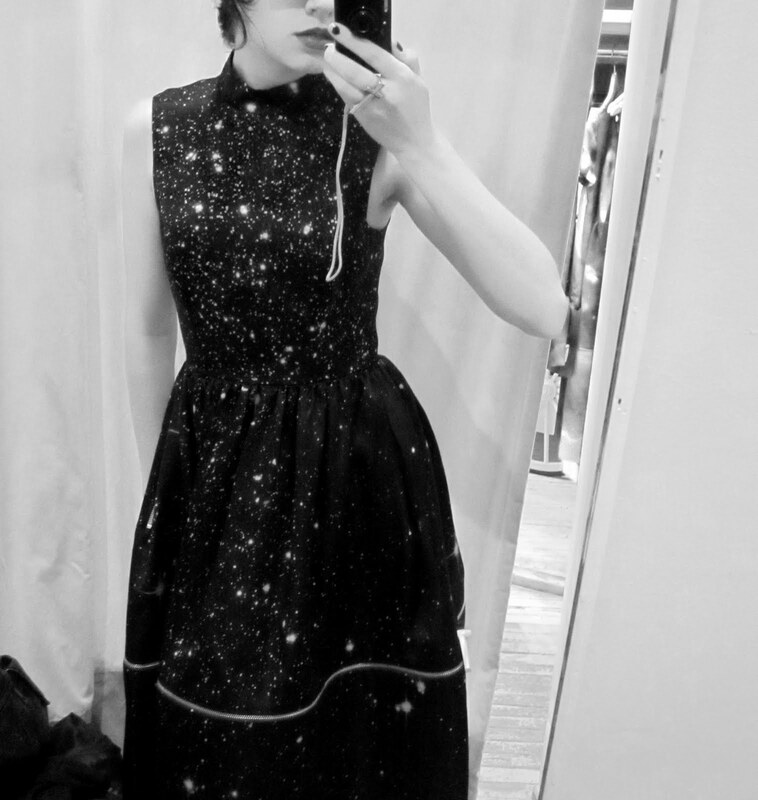 I tried on this beautiful Christopher Kane dress at Opening Ceremony and was so smitten (and shocked that it fit) that I had to take a picture. I don't think you're technically supposed to? I wish I had $1,000 to spend on pretty dresses. I decided that this is what I would wear to watch the upcoming Doctor Who Christmas special. It's the best possible occasion, right? Alternatively, if I were going to be the Doctor's companion, this would also be the perfect outfit.